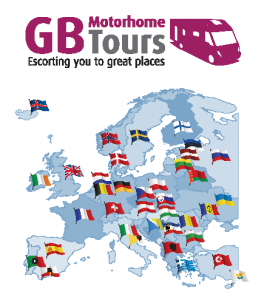 May and motorhomers are touring, many with GB Motorhome Tours. Last week was the start of our Mosel & Rhine Discovery tour and next week sees the beginning of our Austrian Alps tour. May and June are really lovely months to travel in central Europe, catching all the colour of Spring and the freshness of the early season sunshine. Most of our tours for 2019 are now organised and their full itineraries are available to view on our website. Whilst 2019 can seem a long way off, do take a look and make reservations for those you would like to join to avoid the disappointment of finding the tour(s) of your choice are later full. Our Greece 2019 tours are now already fully booked. One tour yet to be completed for 2019 is Southern Norway, our Tour Directors will be there throughout July and August of this year researching everything ready for next summer. There is already strong interest in this tour, if you would like to register yours to receive the itinerary in advance of it being made generally available send us an email requesting this and it will be done for you. If you’re lucky enough to soon be off to sunny locations with your motorhome consider having with you some wheel covers for use whilst pitched up. These really do help protect your tyres from the effects of being exposed to strong sunlight, they are also useful at home if your motorhome is kept outdoors and exposed to direct sunlight, even in the UK this can be strong enough on (limited!) occasions to cause damage. Wheel covers are available from most motorhome dealer accessory stores and also at all the motorhome shows. If there is anything you wish to ask about our tours feel free to contact us, we are always happy to help and we look forward to escorting you to great places. Full tour itineraries and bookings are available directly from our website.